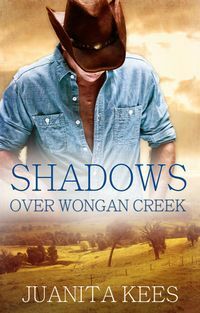 Sign into Goodreads to see if any of your friends have read Shadows Over Wongan Creek. That cover though....seriously??? They are getting worse! He looks like a giant cowboy towering over the countryside. I do agree with you Phrynne - I wish they'd move past the guys and girls in hats, and put them into perspective!! You’re not the only one there takes issue with the covers. Thanks for the lovely review. I'm so pleased you enjoyed Fen and Kieran's story. Ladies, I'm sorry the cover disappointed you :'( While I understand the whole balance and perspective of a cover, the one thing that struck me when I first saw it was that the cover artists nailed the scarred hero perfectly. I hope you will see past the cover to the message between the pages. Happy reading.